Steven B. Smith is the author of Where Never Was Already Is [2018, Crisis Chronicles Press]. 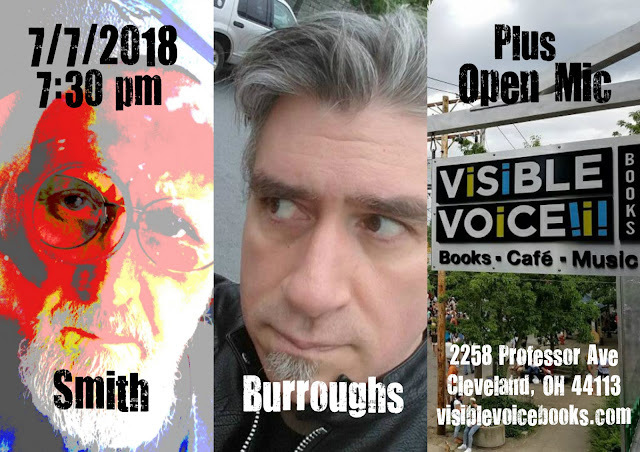 John Burroughs is the author of Loss and Foundering [2018, NightBallet Press]. They will read from their new books and more. An open mic will follow, for anyone else who wishes to share. For more info, visit www.visiblevoicebooks.com. 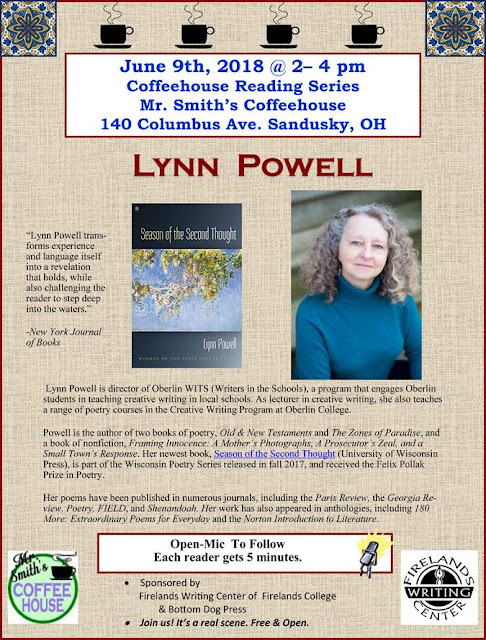 Cat Russell has posted a listing of some of the literary events coming up in Cleveland, Akron, and Canton on her blog. Looks like it will be a poetic summer!